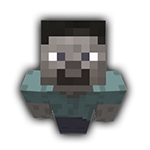 Avernaism's Application - Applications - SixtyGig - The Minecraft server for mature gamers. I'm a mature (and middle-aged) minecraft player and I'm interested in joining you. I live in Vancouver, BC though I am from the US and have lived and worked in many places in the states. I live with my 12-year-old daughter which is another adventure. I have played Minecraft for around 3 years and I think it's my perfect game because it has a good balance of adventure and creation. I mostly like to build funky little houses of different styles. I sometimes enjoy building with teams. I'm not really good at redstone, but experiment occasionally, mostly I just resource and build. Some of my early builds are on Planet Minecraft. Most are original but a couple are reproduction experiments for learning purposes. I spend time on a couple servers but still sometimes get frustrated with the maturity level of some players and tolerance of said maturity by admin. I've read the info and rules on your website and feel like I could fit well with SixtyGig. I sometimes feel more primitive than some players because I like to mine and chop and wander around and get stuff rather than high production farm or buy from stores. I am perfectly content with that. I'd enjoy trying out your interim server and getting a better sense of the server while you get to know me and we'll see where it goes. I honestly hate to break it to you but SixtyGig will be closing soon, so we won't be taking in new members. Aww bummer. Well cmo'n over to TimGaming or Bitquest when it gets started. Not as exclusive as Sixty Gig but both decent servers.